Marketing your listings is a visual endeavor. The images you choose for your advertising, whether online or in print, should entice buyers to want to learn more. Pinterest, a virtual pinboard and image-sharing site, is the fastest-growing website in history, and experts say it's the next game-changer in the realm of social media. What does this mean to us as real estate professionals? Can ePropertySites and Pinterest work together to help grow a real estate business? We certainly think so! How can I use Pinterest and ePropertySites together? ePropertySites makes it easy with one-click "Pin It" buttons now included in your single property websites. This button is used much like the Facebook "share" button you're used to using. Make sure you're logged into your Pinterest account, and then click the Pin It button on your single property website to post. Why is this valuable? Every time you post to Pinterest, a link back to the original page is generated. Not only will this help boost your single property site's SEO, but the ease of sharing on Pinterest means that there's an opportunity for your Pinterest pin to go viral. Every time someone shares your pin, it's seen by anywhere between dozens and thousands of people, depending on that pinner's number of followers. If the pin is a photo of your property, each repin is another link back to your site and a ton of great visibility. 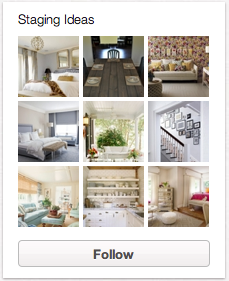 Important tip: Remember, Pinterest is visual. It's all about the images. You should be using beautiful, high-quality images for your single property sites anyway, but this is especially important if you want Pinterest users to notice and repin your property. If your image isn't striking, it will be disregarded. What if I don't have any active listings? 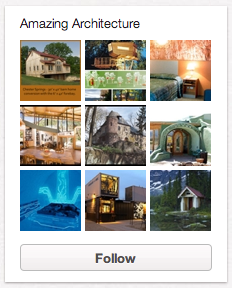 Another great way to integrate ePropertySites and Pinterest is through your ePS blog. (Not sure if you have a blog? Click here to see if it's included in your plan). As long as your blog post includes an image, the image can be pinned to a Pinterest board, and it will link back to your post on ePropertySites. Why is this valuable? Posting blog content about your expertise, your community, or other useful information is a wonderful way to connect with current and prospective clients, helping you become known as the community expert. If your image is compelling and your content is interesting, Pinterest users will share your blog image- and the link back to your post- giving you more exposure and visibility with each repin. Important tip: Again, the image choice is key. Make sure it is an eye-catching photo or graphic that is relevant to your post. Also, use the pin description to help your pin get noticed. A blog post about a new neighborhood pizza joint, for example, could include a photo of a mouthwatering pie hot out of the oven. Pin the photo to Pinterest with an image description like, "Ferndale Village's newest restaurant is a local favorite! Click the photo to read my review." For more information and tips about Pinterest, check out this post from our Communications Manager, "How to integrate Pinterest into your real estate marketing plan" or read more from Pinterest at pinterest.com/about. 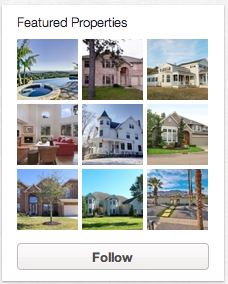 Follow ePropertySites on Pinterest at pinterest.com/epropertysites. Excellent and informative blog Karli!! It amazing how well this is working! Love the pin you put on the each of my epropersite listings! Thanks!